Wanna run a 5K and have a great time with the girls? You do! Then, I have got the race for you! Check out the Pretty Muddy 5K. It is a fun filled, obstacle (optional) course filled run, with NO MEN allowed! There are so many awesome obstacles on this course. They are completely optional…the muddy ones are optional too, but with an obstacle called “Better Than a Dirty Martini” (see above video) why wouldn’t you want to do it!?! I know I will be, and I would love for you to join me in this totally fun 5K. Here are the Pretty Muddy dates and locations so far, and they are still adding on more locations! Click on the pink link that says “Enter promotional code” – It brings up a box you can type in. Type GIRLTIME and hit apply. Then, enter the quantity and hit register. 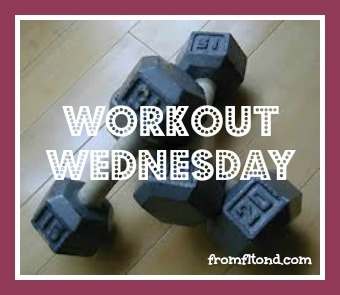 It is Workout Wednesday, so it is time to get our workout on! This is based off of an old CrossFit workout of the day that I have done in the past. Well, the running part is. The original workout was to run for 1/2 mile, 75 sit-ups, 50 kettlebells, and 50 squats. I’ve added a link to an example of the lunges with shoulder press. Remember to stretch when you are done! 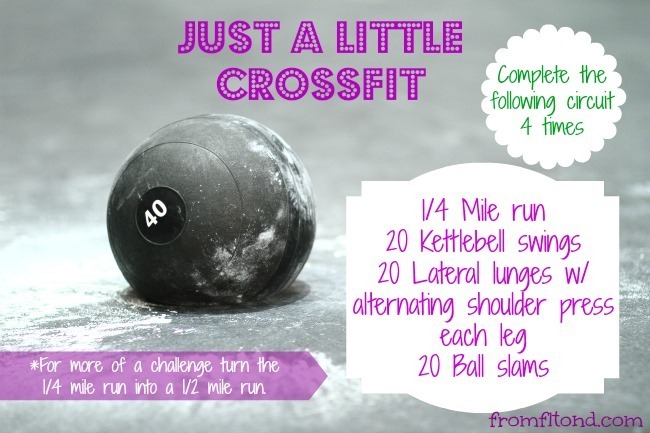 This entry was posted in Races, Workouts and tagged circuit workout, crossfit, full body workout, pretty muddy woman's run, workout wednesday on January 30, 2013 by fromfltond. I might be the only person who doesn’t think running through mud sounds fun. 🙂 I must try Crossfit, so many people are passionate about it, and I can see the appeal! Have a wonderful week! The mud is usually optional at all of the mud races, so you might want to give one a try. CrossFit is so great! You are constantly improving with each workout, and your endurance builds up quickly. Mud runs are a ton of fun. You will have a blast! Which run are you doing? Thank you 🙂 For this workout you can substitute a dumbbell for a kettlebell. Give it a try. They are still adding and my bet is they will. Wow! Pretty Muddy events look awesome! I may have to try to go to the Richmond, VA event! They extended the discount to today!